ReadyRosie launching new platform August 1! This is an exciting time at ReadyRosie. We are launching an all new platform that includes many new features and user experience enhancements for parents, teachers, and administrators. The launch takes place on August 1. We’ve rebuilt everything from the ground up to make the ReadyRosie experience easy to use, visually beautiful, and fast to access. Some of you have used BringingUp, our K-3 resource for elementary schools. BringingUp is now becoming ReadyRosie Elementary, with hundreds of new videos built for ages Kindergarten to 3rd grade filmed with real families, in real environments. Bringing it to the ReadyRosie platform means a better experience for educators and parents. Share allows teachers to invite parents directly, customize video messages, and schedule communications. Previously the Share feature was only available to those using ReadyRosie PreK, but it is now available for ReadyRosie Elementary. There are so many updates and additions launching for the Fall, and we are very excited about what the new experience means to you. 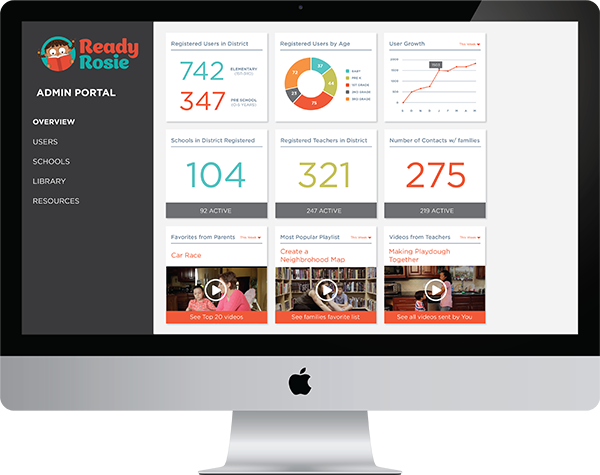 Keep an eye out for an email letting you know when you can log in and use the new ReadyRosie!